If you still think that your health is your personal problem to face alone, then you will be pleasantly surprised with the concept of healthcare crowdfunding. With projects like the Cambodian CABDICO for people with disabilities, Kangu for pregnant women, and Watsi for global healthcare; it is clear that a little technology can pave the way for a big medical difference. 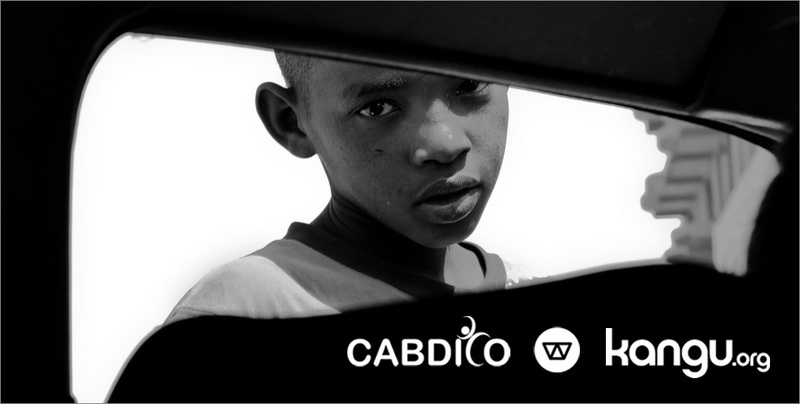 CABDICO is a homegrown NGO with a vision to ensure that the rights of all people, especially children and their families, with disabilities are respected and they are able to live decent lives with dignity. They are based in three provinces, namely Siem Reap (despite itself being a popular town of Cambodia, it has the second highest level of poverty present), Kep and Banteay Meanchey. Focusing on early childhood development to address the lack of services for children with disabilities, the 14 people team behind the organisation provide opportunities to build a solid foundation between the children and society. Their approach towards crowdfunding is to attain crucial supplies to aid the children in their quest, such as school kits, wheelchairs and even pay for the salary of one rehabilitation worker for one year. Currently, they do not have an online platform to receive payment and instead rely on international cheques and local bank transfers. You can find out more information here! Most of us are common with the concept of single mothers, but none of us will ever understand the hardships they have to go through alone to get through the primary stages of birth and livelihood. Kangu aims to lighten their load by providing a straightforward crowdfunding platform to fund mothers so that they will receive high quality healthcare to ensure a safe birth. 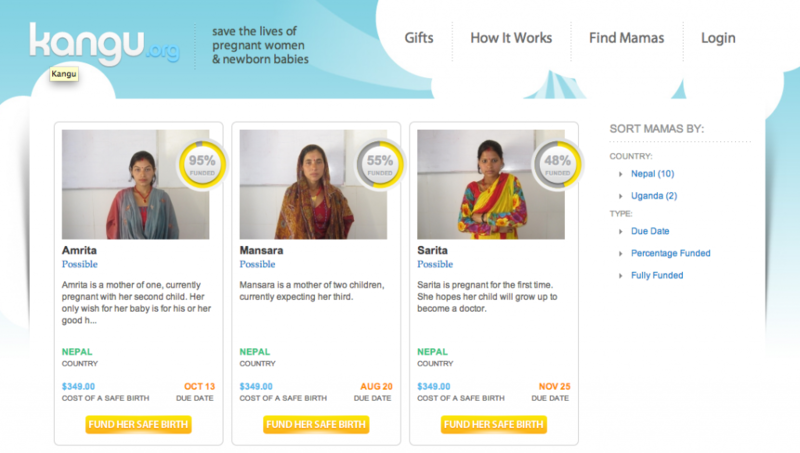 On their site, you will be able to find mothers that you want to fund and indicate your donation. Founder Casey Santiago founded the site after her pregnancies. She stated in her website, “I could not shake what I knew, that so many women around the world lack access to clean facilities and trained professionals during pregnancy and childbirth, and 800 die each day as a result.” She wanted to provide an easy, concrete and personal way to fund healthcare services and to her best capabilities, prevent maternal deaths. You can find out more about their mission here! 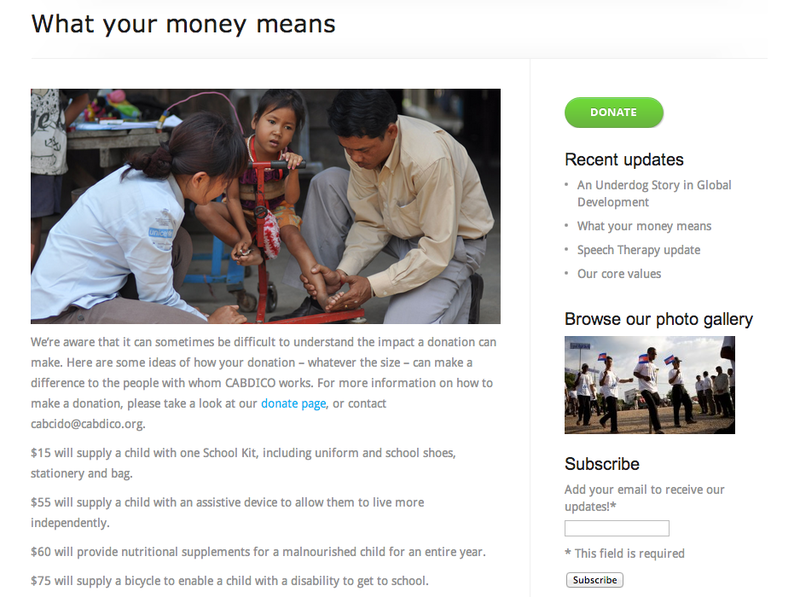 The concept of Watsi came about when Chase Adam witnessed a woman in a small village called Watsi, Costa Rica, collecting money on the bus with photographs of her young children in critical medical conditions. “If I could somehow connect this woman with my friends and family back home, she would have the money to pay for her son’s medical treatment within the day,” he said. 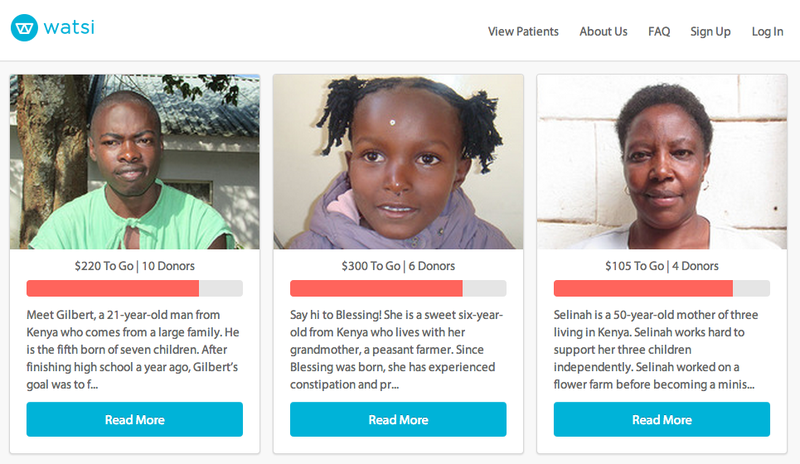 Watsi is now a global medical crowdfunding platform, where fund treatments start from as little as $5, and the patients’ conditions are constantly updated to show the outcomes of the treatments. They work with medical partners around the world as such as the Children’s Surgical Centre in Cambodia and International Care Ministries in Philippines. Their ultimate vision is a world where people no longer die from conditions that society has the knowledge, resources, and power to treat, and they see themselves as a non-profit startup bringing the world together to provide access to a fundamental human right. You can join their mission here! While the notion of medical crowdfunding has been in the harsher spotlight for criticism such as people having the ability to “play God”, as in to pick who to save and who not to; we cannot deny that the success rate outweighs the comments. As long as you access the site with the pure intention of funding a stranger’s medical wellbeing, you are making a difference. Cambodians have the potential to replicate such models in order to ensure that the nation strive towards medical wellness and the greater good of unity.